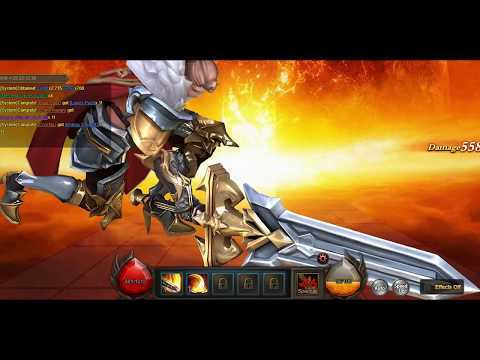 Mythic Glory game is a hot Free-to-play Fantasy, MMORPG Browser-based published by R2Games set in a fantastic and mysterious world. Take up arms against evil, and let your legend come back to life. Mythic Glory MMORPG is a Free-to-play (F2P), fantasy browser-based by R2Games. Take the first steps of your incredible journey on a memorable single-player questline and participate in the various co-op and PVP activities with others such as joining in on guild fights and social groups. Rise to the challenge as a solo player or grab a friend and take on tough dungeons packed with enemies to fight and loot to find concluding with an explosive boss fight. In Mythic Glory MMORPG your hero’s road to legendary status is everything! Pick a class like the mage or knight and work to enhance and upgrade them to terrifying levels with weapons, gear, artifacts, and scrolls. Lastly, take that outfitted adventurer into battle where you’ll tactically manage your squad line up and use powerful abilities in exciting turn-based combat. Knights excel in tanking damage for the party and suppressing the enemies with melee attacks. Mages excel in dealing magic DMG to multiple targets. They also know healing skills which allow you to build a solid team. Rangers excel in dealing physical DMG. They are famous for their Fatal Strike ability.